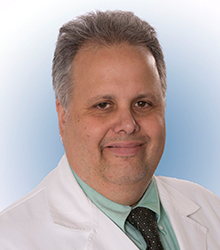 After receiving his BA degree in Chemistry from the Hiram College, OH, Dr. DiPaola pursued medical studies for 3 years and doctoral studies in the medical sciences at the department of physiology and molecular medicine, and received his PhD from the Medical College of Ohio, Toledo, OH. Dr. DiPaola conducted postdoctoral fellowships in the Center for Anesthesiology Research and the department of cardiovascular medicine at the Cleveland Clinic Foundation in Cleveland, OH. After completing the second postdoctoral fellowship, he was appointed research scientist in the division of transplantation at The Ohio State University (2003-2006), clinical lab technologist (2006-2008), transplant technologist supervisor (2008-2010), and ASHI certified director of the histocompatibility laboratory (2010-2015) at the Wexner Medical Center at the same institution. Dr. DiPaola was appointed medical director I-STAT between 2012 and 2015, and was elected to the Board of Directors at the Lifeline of Ohio for one year (2014-2015). In 2015, he was appointed medical director of the histocompatibility and immunogenetics laboratory in the Department of Pathology and Genomics Medicine at Houston Methodist Hospital, a position that he holds until present. At this stage of his career, Dr. DiPaola has authored more than 15 peer-reviewed articles, 3 book chapters, and has presented his research at many conferences. His research interests are focused on the human leukocyte antigen (HLA) system and immunology. Archacki, SR, Angheloiu, G, Tian, XL, Tan, FL, DiPaola, Jr. NR, Shen, GQ, Moravec, C, Ellis, S, Topol, EJ & Wang, Q 2004, Physiological Genomics, vol. 15, pp. 65-74. Evaluation of the renin-angiotensin system in a congenic renin Dahl salt-sensitive rat. DiPaola, Jr. NR, Rapp, JP, Brand, PH, Beierwaltes, WH, Metting, PJ & Britton, SL 1997, FASEB Journal, vol. 11, no. 3. Skarlatos, S, DiPaola, Jr. NR, Frankel, RA, Pomerantz, RW, Brand, PH, Metting, PJ & Britton, SL 1993, American Journal of Physiology - Heart and Circulatory Physiology, vol. 264, no. 5 33-5.